In the end it was honours even at Anfield on Saturday night. After a goalless first half, Liverpool broke the deadlock through their Egyptian star Mohamed Salah. It was Salah’s tenth of the season, and he’s the leading goalscorer in the Premier League. Chelsea snatched a point in the final minutes of the game. Antonio Conte brought Willian off the bench with six minutes to go, and 115 seconds later the Brazilian floated the ball over Simon Mignolet’s head. In the build up to the match, Eden Hazard spoke about Mohamed Salah’s Chelsea career. 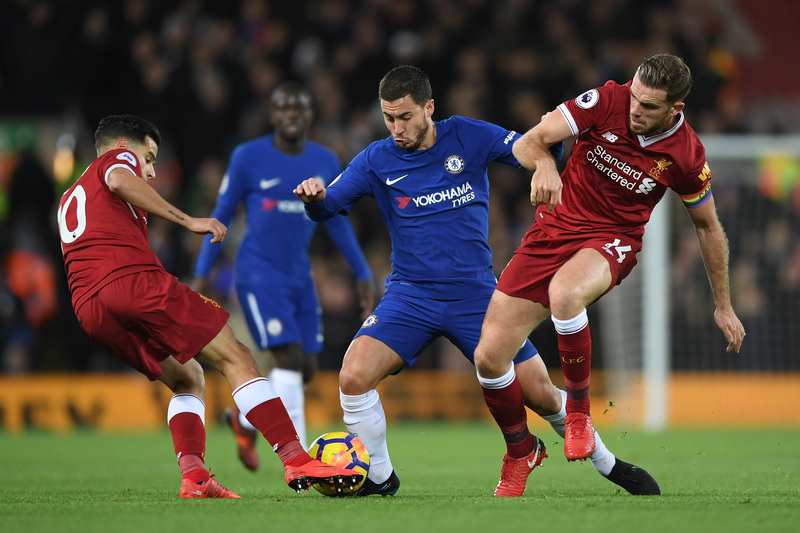 In quotes circulated in Friday’s Guardian, Hazard answered questions on whether Chelsea made a big mistake over Mohamed Salah. He is still my friend and we are still in contact. He’s a top, top, top player. He did not get his chance at Chelsea – maybe because of the manager, because of the other players? I don’t know. I want to ask him for his shirt, for sure, on Saturday. After the full time whistle blew at Anfield, Hazard proved true to his word as he and Salah exchanged tops.